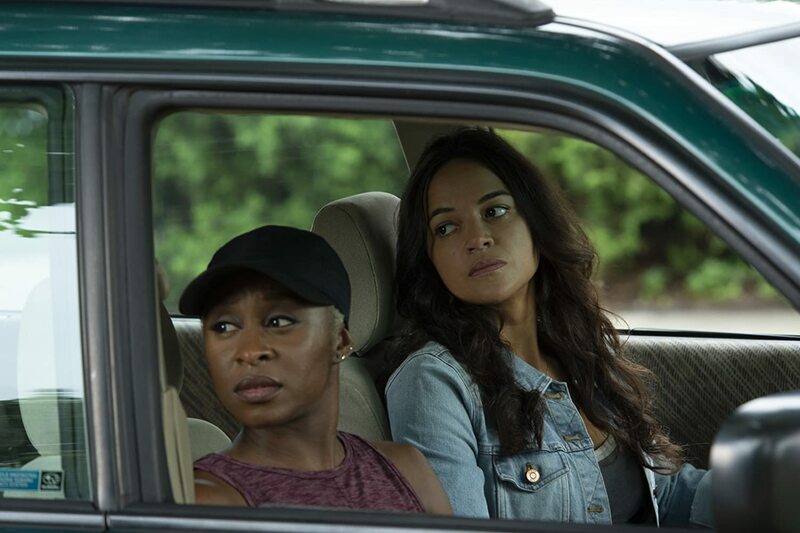 ‘Widows’ flips the script on the typical heist movie – Cinema or Cine-meh? It’s been five years since director Steve McQueen released a movie, the Best Picture-winning “12 Years a Slave.” So you could say anticipation for his follow-up was about ready to boil over. Especially when we heard his next film would be a hard-boiled heist movie with a script he wrote with “Gone Girl” author/screenwriter Gillian Flynn. After their husbands’ robbery goes bad, Veronica (Viola Davis), Linda (Michelle Rodriguez), and Alice (Elizabeth Debicki) are contacted by a political candidate (Brian Tyree Henry) and his gang of thugs, led by his brother (Daniel Kaluuya). The Manning brothers (not as dangerous throwing from the pocket as Peyton and Eli, but definitely more real-life dangerous) expect to see, in a month’s time, the millions of dollars the women’s husbands stole from them—money that was burned in the same fiery accident that took their husbands’ lives. McQueen and Flynn’s script doesn’t dive into the details of the heist, like a Soderbergh thriller might have. And sure, there is definitely some fun missed out on when there’s no montage showing the women perfecting some elaborate robbery and getaway scheme. But what we see instead allows us to understand the motivations behind the job, and the emotional challenges the women face in the weeks leading up to it. Gangster scare tactics by the Manning brothers serve as the catalyst for the plot, ramping up the motivation for the women to follow through. Vaguely intimidating packages are delivered, acquaintances are bullied—little things that keep the story moving forward and let audiences know that a climax is coming eventually. But with a cast this high-functioning, we don’t need the cheap thrills. This isn’t Viola Davis’s best performance, but it is one of my favorites. It’s her best performance in a movie with any sort of action or excitement. It may not win her an Oscar, but it shows that she can lead a movie with more badass mass appeal than “The Help” or “Fences” (as terrific as those movies—and especially those performances—are). Cynthia Erivo is having herself quite a year. Her breakout performance in “Bad Times at the El Royale” earlier this year shocked a lot of people, myself included, who had never heard her name before. In that ensemble movie, she played a key role, alongside the likes of Jeff Bridges and Jon Hamm. In this one, she definitely takes more of a back seat. But that doesn’t stop her from making a good impression. Michelle Rodriguez may have been the most obvious choice for a role in a female-driven heist movie, and for good reason. But it’s Elizabeth Debicki who shines brighter than the rest. She proved herself in “The Night Manager,” the underseen AMC mini-series from 2016. Now she’s shown herself to be just as valuable on the big screen. She brings just the right mix of vulnerable and vicious that her character requires. 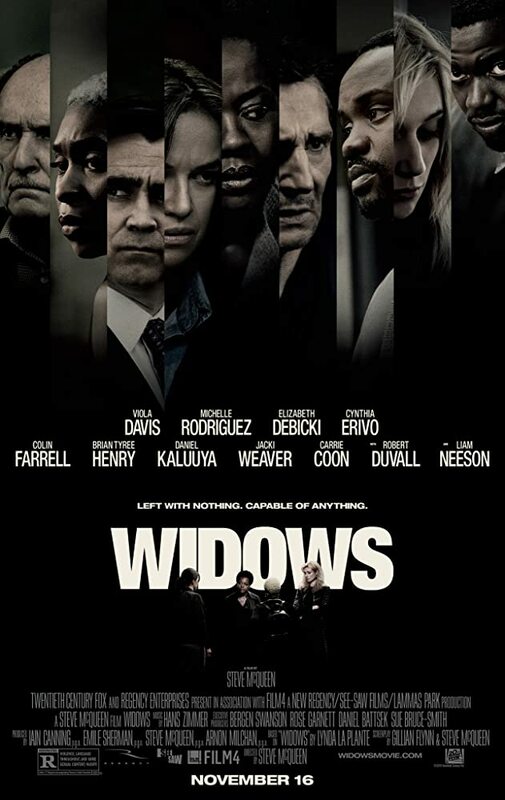 “Widows” misleadingly billed itself as a quick-paced crime thriller in its trailers, which may explain why it never took off at the box office. Still, the slow-burning character-driven crime drama boasts one of the year’s best original scripts, one of the best ensembles, and smart direction by an Oscar-winner. It more than gets the job done.